Operation Sovereign Borders was the policy the Coalition government took to the September 2013 Federal election - a military-led response to ‘combat people smuggling and protect Australia’s borders’. Playwrights from across the country have been invited to create new plays that respond to one of the most contested ideas in Australia’s identity. 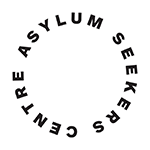 How will our stage respond to Operation Sovereign Borders? What do our great storytellers have to say? The selected plays have been matched to directors and actors for two weeks of quick-response theatre. All artists involved will waive their fees so that ticket sales can be donated, in full, to the Asylum Seekers Centre in Newtown & the Asylum Seeker Resource Centre (asrc) in Melbourne. The plays were presented as staged readings. The play is comprised entirely of the words of witnesses and commentators of the event at Christmas Island’s Flying Fish Cove, when a boat carrying 90 asylum seekers was wrecked, killing 48 children, women and men. By reporting the comments of residents involved in rescue efforts, guards at the Detention Centre, talk-back radio callers and the media, the play aims to create a picture of how the disaster affects all of us – at the coalface and far from it. It also gives a wraparound view of the events, but leaves at the centre a conspicuous absence – the voice of those routinely silenced. Locked in a detention centre for an indefinite period of time, a man named Arman finds himself caught between two nightmarish decisions: to return to his homeland, imprisonment and torture, or remain in Australia, where imprisonment and mental anguish reign supreme. Faced with these choices, he tackles the question: what can you do to take back control of your life when it's been taken away from you? Hind, a young Palestinian-Syrian refugee, is about to run in a highly-publicised relay race across the desert to remind the world of the plight of Syrian refugees. She meets Daniel, a young Australian aid worker, who has volunteered to step in at the last minute to replace one of the other runners, and they strike up a conversation as they train. A man on trial. Only there has been no offense committed and there will be no outcome. In fact, there is no trial to begin with. Only indefinite detention. The more the man speaks, the more his voice is drowned out by three word slogans and the management strategies of an offshore company. He has become a body that does not speak, is only spoken for. The only freedom left to him is hunger. In the early hours of the morning Woman wakes to hear the sound of birds screeching outside her bedroom window. They are under attack and her cat is the tyrant. She doesn’t run outside to rescue the birds or shoo her cat inside with a broom. She sleeps instead because after all this sort of thing is a part of the natural order. At least that’s the excuse she’s happy to use. That is until Missy, the cat, begins to turn on her. name Abdul-Rasheed means ‘Servant of the rightly guided’. Meet Pamela, cash rap captain of the Woolworth’s deli. Pamela means made of honey … but she’s not. This play is about the big ugly elephant in the room. public transport. You would never pick it if you saw me in the deli. ever called me a racist”. 4 actors. One chair. A window into the experiences of women in Afghanistan. Set in Maribrynong Detention centre Con and Ashane are detainees who encounter a ghost- a spirit of a woman who had migrated to Australia in the 1950s. The detention centre is on the site where nissen huts (steel shells) housed migrant workers. The parallels of their situations are explored through their encounters with their visitors and each other. When Maryam can’t sleep she bakes bread. In her small Marrickville kitchen she kneads sourdough – it’s the only balm that can soothe her. For Maryam, bread has been a positive constant in her life. As a child in Kabul she made naan with her mother while in Australia, becoming a trainee at an artisan bakery was her entrée into safety and security. Bread is a beautiful alchemy of flour, water and salt that when baked, can feed friends and strangers alike. It connects Maryam to her faith, this country and her sense of self. Yet, as US forces leave Afghanistan and Australia deems Kabul ‘safe’ for Hazara Asylum Seekers to return, Maryam’s anxiety escalates. After all she has endured as a woman on her own, will she be sent back to that dangerous place she can no longer call home? Waves, unfamiliar, advance and recoil. A transistor radio sends its static freely to whomever will embrace - waves, curious, bear something strange and uncommon. Bathers on the sand soften and simmer. Two UN representatives arrive on an island - new-built, state-of-the-art offshore immigration center. Each has its own agenda and past. Both want the same thing – get out of there as soon as possible. There is a third ‘outsider’ on the island. The new and only ‘inmate’ an 11 years old girl dressed as a boy that arrived on the island allegedly carrying the plans for the nuclear submarine class 949. Past, future and present collide. How do you leave behind your past? How much does it cost to be free? Two young female refugees form a friendship. They're angry and wild. Later, two young friends in Melbourne discuss why they vote Greens. Zeinah has woken up in someone else’s body. In a theatre. On the stage. This is great! She can say whatever she wants. She can make up stories. She can do cartwheels. She can even try to explain what happened to her own body. And everyone has to listen. A Confession is a monologue of one woman’s experience working as a volunteer within Villawood Detention Centre. It serves as a personal account, a record of events from her perception. With honesty, rawness and vulnerability she dissects her own fragility and feelings of helplessness within the context of this environment. TALAASH ‘TASHI’ SALDANA is a Plutorian living in Wageni, a place full of immigrants. She counts herself lucky to have kept her job at Murray Markets. Her husband SUKUMA SALDANA is also employed and their children ANAND and BYRON attend a good school. TALAASH wishes she could find another job because the market job is tiring. She wishes SUKUMA could be like the other men who went to university. She is also worried about the friends their children make. Will the new life at Wageni work for her family? Will the children forget all the Plutonese she and SUKUMA have worked so hard to teach them? Will her well-mannered sons find good Plutorian wives who can cook and not hype all day about degrees and parties? Fitting Into Wageni is one migrant family’s journey into the unknown. With Chris Fung, Courtney Stewart-Smith, Kirsty Marillier and Michael Wood. Aussies love their sports and we're training hard--determined to win in a whole new event. Set entirely within a solitary confinement cell, this play begins immediately after Saul, a male detainee, has attempted suicide. Sue, the night cleaner, has been tasked to clean up the Vomit that covers the cell floor. As she does so, we see how an attempted suicide is dealt with in a place that imprisons the innocent. The Australian Labor Party introduced offshore processing. The system has been continued and enhanced by the current conservative Abbott government. This consensus has led some Australians to believe that the two major Australian political parties are indistinguishable on Immigration and Border protection. The ALP disagrees. Richard Marles is the current Shadow Minister for Immigration and Border Protection. In December 2014 Playwright / Columnist Ross Mueller interviewed Marles to find out why the ALP believes they disagree with their political opponents. DARKER ANGELS is a dramatisation of this interview. A former refugee is angry that asylum seekers these days believe that they have the right to special treatment. In the old days there were no 'people smugglers', and everyone got in line and waited until it was their turn. That was the correct way to do things. "It's all so embarrassing. Being a refugee, I mean. A boat person." A man lies in a suburban street, his face split in two, his body shattered. Neighbours awake to this vision of horror visited on them from above. Who is this man? How did he get there? Will any of them claim him? An investigation into the identity of the body begins, the sharp-edged prism of doorstep gossip builds, and in the skies above, suspended in the briefest moment like Icarus before the plunge, a young man sends his prayer of hope to the world. Set in an NGO office during a typical days work. What discussions happen after that phone gets put down and after that email is sent? This is the raw discourse - in all its rage, political incorrectness and resistance. Unexpectedly debilitated by a stroke, an Australian woman finds herself increasingly neglected by her family. Armed only with sarcasm, she rages at her new insecurity – until she discovers the attention seeking power of moral posturing, and the danger of ethical engagement. A comic monologue about seeking safety in all the wrong places. A vast farm in far northern Australia. Amala is on the run. When Maggie and Robert stumble across her hiding in their shed, they have two options – turn her in, or keep her. Their decision will inalterably change their lives forever. Safekeeping is a tale of legacy – of how the actions of today truly impact on how we explain and legitimise them tomorrow. been revised? An expedition towards finding a place.